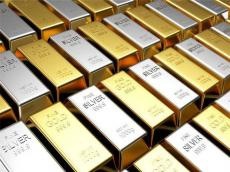 The prices for precious metals decreased in Azerbaijan, Trend reports referring to the country’s Central Bank Jan. 14. The price of gold decreased by 4.1225 manats to 2,193.986 manats per ounce in the country on Jan. 14 compared to the price on Jan. 11. The price of silver decreased by 0.213 manats to 26.4543 manats per ounce. The price of platinum decreased by 23.749 manats to 1,374.671 manats. The price of palladium decreased by 35.5385 manats to 2,233.4175 manats in the country.